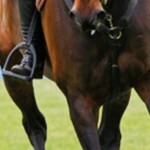 I’m based in Dubai and soon joined Lingfield Equine Distance Learning courses. My 15hh Arabian mare is called Sugar, she’s ex endurance and far more ‘horse’ than I have ever been used to. I had huge challenges to start off as she takes off and has the stamina of a true endurance animal. We are now at a stage where even if she does bolt I am back in control quickly. We are learning basic dressage at the stables where I keep her; she’s a quick learner and a pleasure to be around. I chose to study with Lingfield as I wanted to be able to know I am looking after Sugar’s every need, this is the first horse I’ve owned and I have had about a 20 year break from learning to ‘ride’ (?) as a kid and now really riding rather than just being a passenger. Riding is such a small part of owning a horse and the course has already opened my eyes to so many things I didn’t know (or had been mislead on by other so called experts). Lingfield allows the students to work totally at their own pace which is great for me as the pace of life and work in Dubai is very fast and having the ability to learn at my own time ensures I will get the most out of the course. Things are very different in Dubai, but the basics apply wherever, and each day I feel I am getting that bit closer to being a confident horse owner. Our horses are kept on sand in a covered shelter but with no sides, just rails. They are mucked out and treated much the same as a deep litter bed but the sand is dried out rather than replaced. Temperatures here mean that the sand does not remain wet for any length of time. There is no grazing and all hay is imported. Quality and type varies from normal hay to Timothy alfalfa, or haylage i.e. no consistency. Horses take in sand during turnout and when eating hay. You have keep an eye on droppings so they don’t get ‘clogged up’. (editors note: In UK, this would be called sand colic) Shoes don’t wear quickly but hooves dry out. We average 2-3 days rain a year. We have a live-in farrier at our yard which is fantastic. Winter nights can get chilly and my mare had a rug this year for about 30 days. Through the summer months May to September temps of 50 degrees and 100% humidity are fairly normal in July and August. We shower the horses twice daily to keep temperatures down, & have to ensure hooves are not too wet through this. Richer owners have air conditioning but it only helps a bit. During the Summer, many get little or no exercise due to owners avoiding extreme temperatures. I try to do walk and trot to keep her moving. I was distraught but after an anti spasm injection she perked up and was fine by that afternoon. It gave me my first real insight of dealing with colic.